SSD vs HDD: Which is Best for Gaming? Have you ever been playing a game on your computer or console and suddenly encountered lag while your game loaded a new area? Or perhaps sat at a loading screen for an uncomfortable amount of time? I remember spending quite a fair amount of time staring at the Skyrim loading screen back on the Xbox 360. Generally, assuming that you are using a decent graphics card, your hard drive can be blamed for long loading times, and a whole host of problems that you may not even be aware of. Back when mechanical hard drives or HDDs were the only option for gamers, loading times were a huge problem. This is because an SSD has no moving parts and an HDD does. So why is this a big deal and how else can you benefit from an SSD? The best thing an SSD brings to the table is loading speed, or read and write speed. A mechanical hard drive spins in a tray and is read by a laser. On an otherwise fast system, this causes the computer to have to wait for the hard drive, causing a bottleneck. The fastest speed of an HDD is 7200RPM or rotations per minute. At this speed, you are getting read-write speeds of about 200MB/s or megabytes per second. You also run the risk of corruption as the laser is imprinting and then reading the disk. If it wobbles or jostles, it could cause you to lose your data. Solid state drive, as indicated by the name, has no moving parts. This means that the information is being accessed via the board of the SSD. This is how your laptop or desktop or even console accesses the rest of its components. Because of this, it is much more difficult to corrupt. You will also be able to attain read-write speeds of over 500MB/s! So in the speed test, there isn't much competition. The SSD clearly wins out over the mechanical HDD because of its general speed and its resistance to corruption. It also cannot generally be impacted by a jostle or drop – another bonus if you are a mobile gamer. Friction is the enemy of computing. 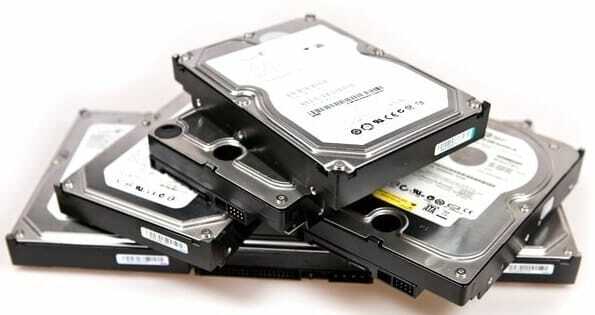 Since mechanical hard drives spin, it makes friction which causes heat to generate inside your system. If you live in a cool climate and you've ever traveled to a warm climate like Texas or Florida, you may have noticed that your smartphone battery won’t last as long and your device may have operated more slowly than normal. This is because heat causes the components inside your device to operate less optimally. Modern desktops have many solutions to dissipate heat. There are fans, liquid cooling, and thermal paste that you can use together to minimize the impact of heat. You won't notice a huge difference in heat in a well-ventilated desktop. But what about a laptop? Laptops are usually much more compact than a desktop. While they generally have pretty good ventilation, the best thing that you can do for your gaming experience is to minimize as much heat as possible. SSDs work very well inside of laptops because they do not generate as much heat as a mechanical hard drive would. 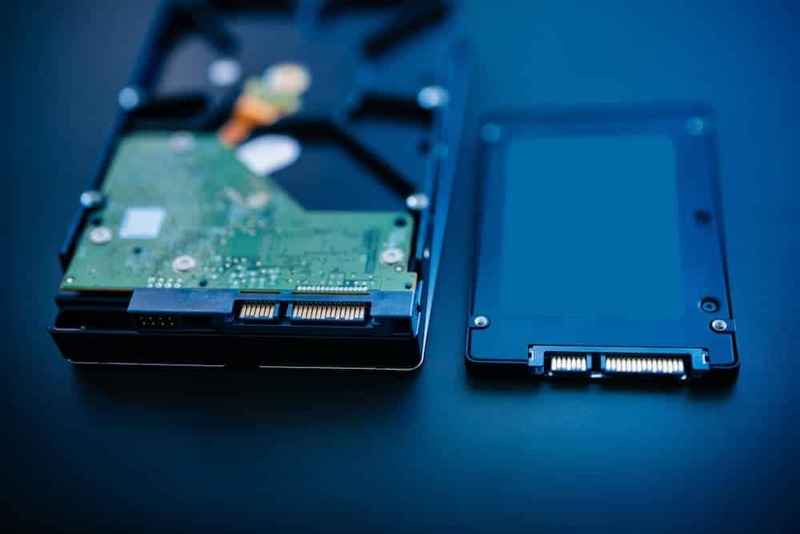 When it comes to heat, HDDs and SSDs can be a mixed bag. While the heat generated from your hard drive will have a minimal impact on your desktop, it may make a sizeable difference in a gaming laptop. It always makes sense in the case of a laptop go with an SSD and it never hurts to do so in a desktop, so I'd say that the SSD wins out in this round. Whether you are selecting a compact desktop case or a packable gaming laptop, size is always an important factor. 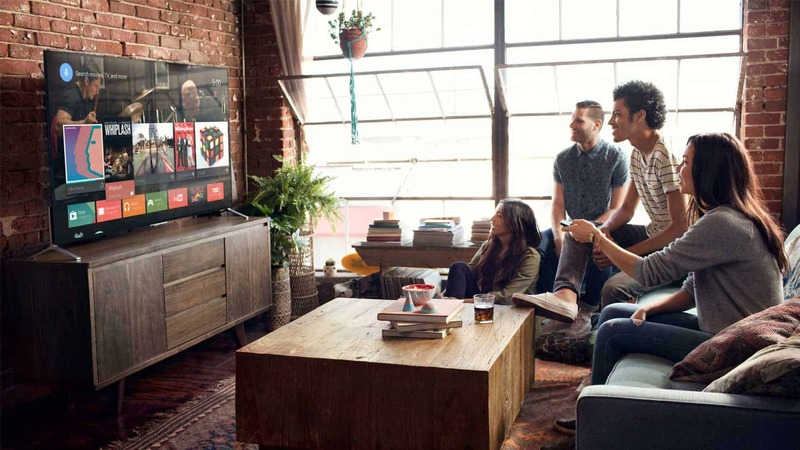 Gaming laptops have become thinner over the years and this is largely due to manufacturers opting to leave out disc drives and other accessories that aren't widely used anymore. The HDD in many cases is left out in favor of an SSD. HDD's are thick and require space for the housing and the space to dissipate heat. This means that if you are working with a compact desktop case, you may not have room for other components that you would like to include. Ultrathin laptops exist because the manufacturer will often include the SSD directly to the motherboard. This can be either good or bad depending on what your purpose for the laptop is. If you are doing light gaming and you don't plan on upgrading the hard drive inside of your laptop, then this is a great option! If you are using your laptop primarily for gaming, make sure that your hard drive is upgradeable. And just because it's not soldered down doesn't mean that you can't use an SSD, you just won't have a laptop that's quite as thin. The SSD wins out again because of the versatility and space-saving aspects. You also get more choices when selecting an SSD for either your desktop or laptop so that no matter what space you're working in, you will always be able to find the right fit. I've had multiple external HDDs through the years and they've all died because I've tossed them into my backpack and tossed my backpack somewhere, breaking the hard drive in the process. When your HDD is inside of your desktop, this isn't really a problem, but what about in a laptop? Laptops are mobile devices, even when they're meant for gaming. I frequently take my gaming laptop on the go so that I can play my favorite games in my hotel room when I travel. This means that I'm tossing it in my backpack and moving it around a lot. With an HDD, this will shorten its lifespan over time, causing you to have it replaced before the natural life of the laptop. SSDs fix this problem because again, there are no moving parts. This ensures that no matter where I toss my bag, my laptop will be safe and sound inside, leaving me worry-free to game on the go. Because of the durability of the SSD, it wins out over the mechanical hard drive. An HDD, unless it's in a desktop computer, is just not suited to a mobile life of gaming. Cost is an important factor when purchasing a desktop or laptop for gaming. After all, you can game better on an inexpensive machine than you can on no machine at all. This is where the HDD shines. Because it's older, cheaper technology, you can get a 2TB HDD for under $100. This is great for a couple of reasons. Say that you have a laptop with multiple drive slots or a desktop PC and you want to use it for media as well as games, HDDs will have a lot more storage for a lot less money and this means that you can have one installed alongside your smaller SSD. HDD's also work well by themselves. If you have a sizeable library of games and you want to install them all at once, and HDD might be the option for you. It's not going to cause too large of an impact and you'll save quite a bit of money vs the competition. SSD cost can vary. There are multiple types of SSD's and 1TB of storage ranges anywhere from $200 all the way up to a staggering $1200. This means that at the very least, you are paying almost four times the cost of an HDD for the same storage. The HDD wins out on this one. Cost is a legitimate factor and some people just can't justify a smaller drive or afford to pay way more for the same amount of money. 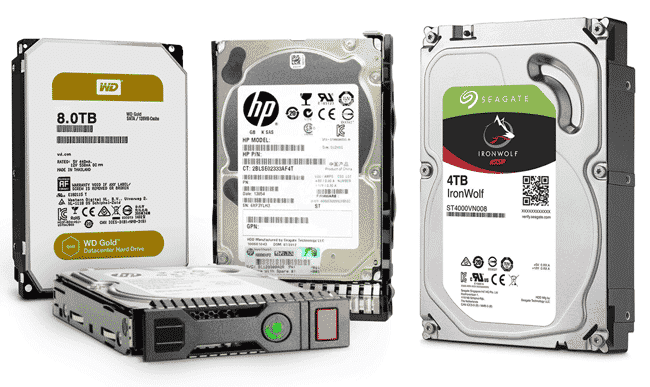 HDDs and SSDs come in various forms. For HDDs, they are all going to be the same shape, but they may spin faster (7200 RPM) or slower, all the way down to 5400 RPM. The slower the drive spins, the more slowly it will be able to transfer data. For gaming though, I would opt for the 7200 RPM so as not to cause too many hiccups in your system. SSDs are a little more complicated. Over the years there have been a number SSDs released with different levels of performance. Sata SSDs and regular HDDs will generally fit into the same places. Sata is the cheaper of the SSD options and delivers excellent write speeds. You generally can't go wrong if you are planning to upgrade your HDD with a Sata SSD. mSata is almost exactly the same as a Sata SSD with the exception of being smaller. They are a bit more expensive as well. If you are tight on space, this is a good option to go for. The experience on screen will pretty much be the same as a Sata SSD. M.2 drives are skinny, flat, candy bar shaped drives that take up very little space and therefore a lot of laptops offer space for both an M.2 drive and a Sata drive. They also offer over 2500 MB/s write speed; just make sure that your laptop or desktop is compatible. 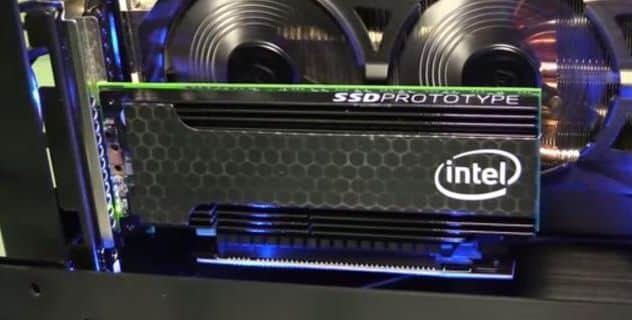 Desktop PCIe drives like the Intel Optane drive are super-fast and very expensive, often coming in at over $1200! They're worth it if you have a lot of money to blow. But if you are on a budget, this has the potential to cost more than the rest of your entire build. Today, there are a lot more options for storage than there were fifteen years ago. Gaming has come a long way and so have storage options. So should you get an SSD or an HDD? Well, it depends. If you are aiming for the fastest possible performance, you will want to go with an SSD. If you are looking for a combination of performance and general storage, I would get both. Most laptops and certainly desktops on the market offer slots for two drives. This means that you can mix and match. Keep your 1TB of movies on the HDD and install demanding games and software onto the SSD. If you are on a budget, I'd opt for a fast HDD as they're so cheap that they make it worth it. And you can always upgrade in the future. So what do you think? Do you have a desktop for gaming? Did you opt for an HDD or SSD? Do you have an Intel Optane SSD? Tell us all about it in the comments below. Kindle Vs Kobo- Which Brand Should I Buy? Great read… I’ve been wondering which to go for – the analysis is good enough to choose one. Honestly I’d go with HDD, I’m on a low budget as well. Thanks for the guide. Great comparison! I think each one has its advantage. I actually opted for SSD due to it’s durability. It’t really good. I think HDD is also good in its own way. Nice read. I love how each is described based on what it does, this is a very fair judgement. I have used this 2 (SSD and HDD), they are both good at what they do. Presently I use HDD and it has been nice.